Rosettes with spineless, green-silvery leaves bear powdery pink spikes with sky-blue flowers in late summer - "Coelestis" means sky-blue! Then, colourful pink-orange fruits will persist through winter until mid-spring. It does fine in cool temperatures but should be protected from frost. 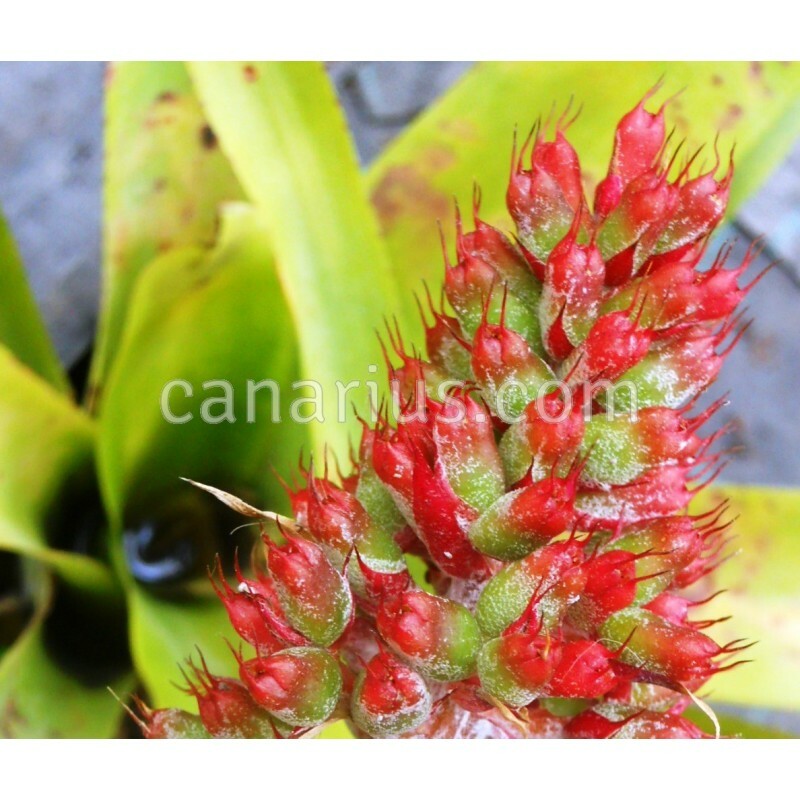 Native to the endangered Atlantic forest of SE Brazil, in Espírito Santo to Santa Catarina. Rosettes with spineless, green-silvery leaves will produce powdery pink spikes with sky-blue flowers in late summer. Then, colourful pink-orang fruits will persist through winter until mid-spring. Actually, "coelestis" means sky-blue. It does fine in cool temperatures but should be protected from frost. 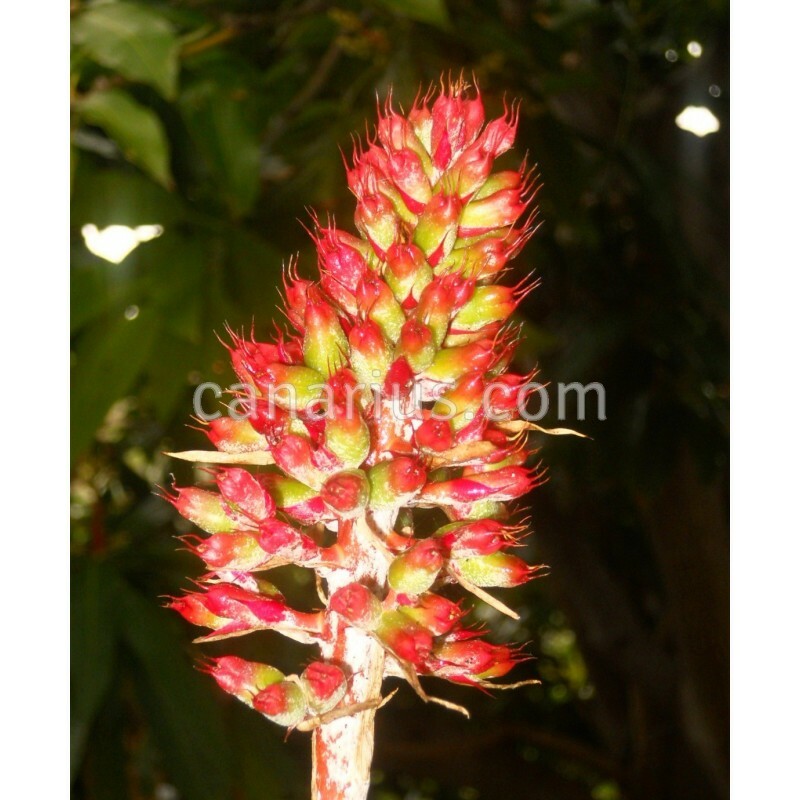 We offer one bare-rooted plant of Aechmea coelestis, of 15-20 cm, able to flower in one year. We ship worldwide.